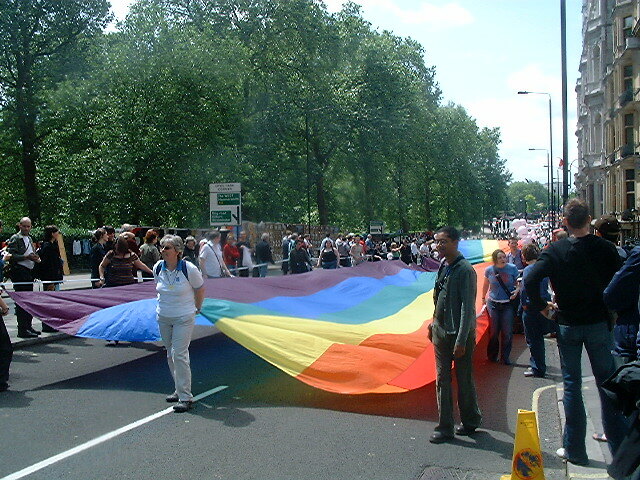 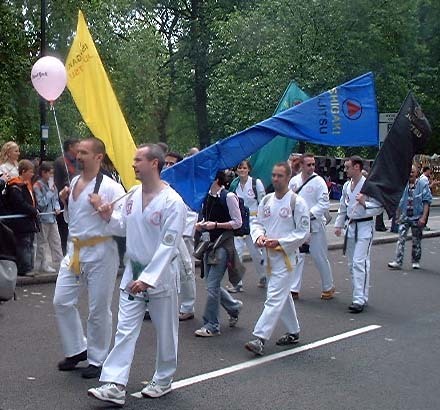 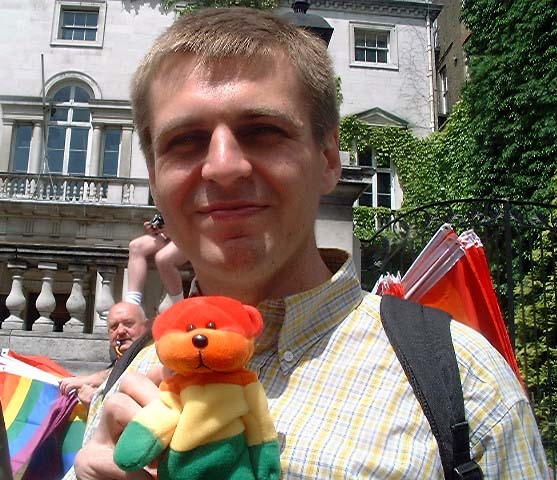 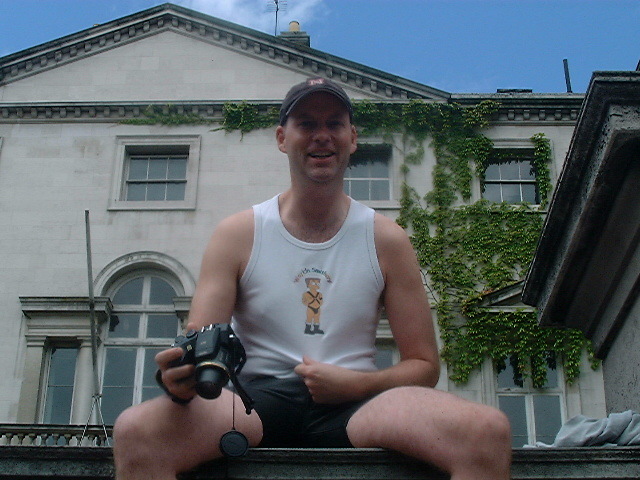 Page 1 of 3 George watches the London gay pride march, July 3rd 2004. 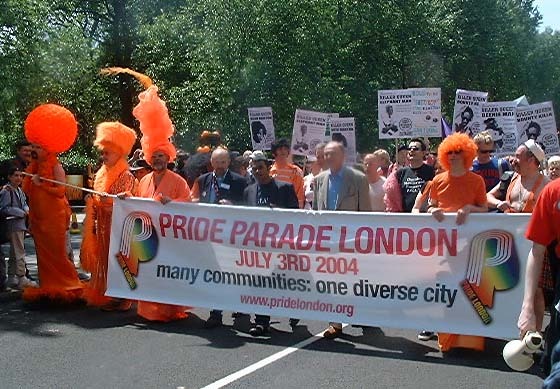 Mayor of London Ken Livingston heads the parade. 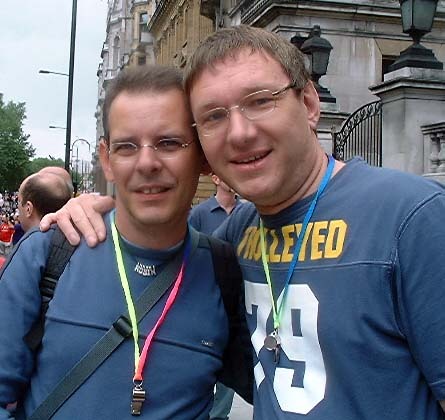 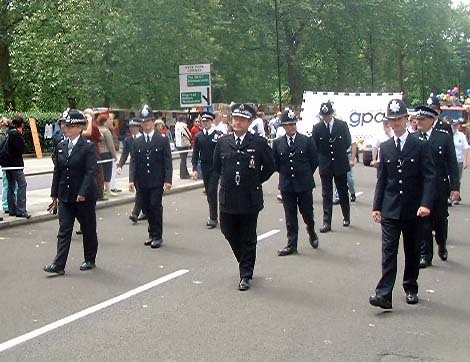 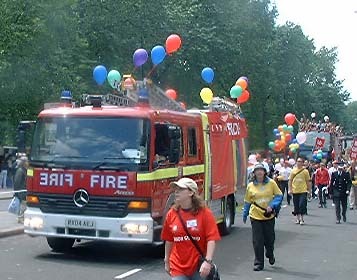 The Gay Police Association join the parade.